My younger sister went to Singapore for a school trip. 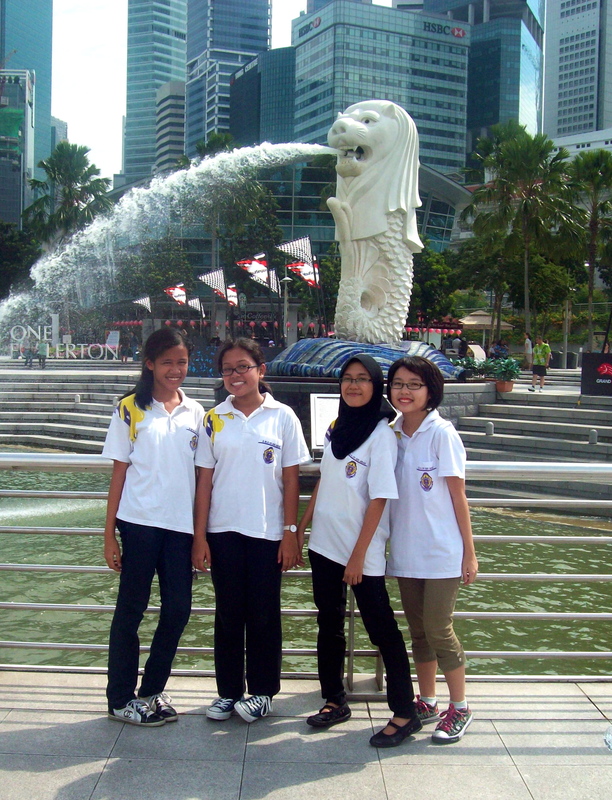 I went to many school trips before but never as far as Singapore. I asked Mum if I could follow. She said “You wouldn’t want to be with a busload of giggly girls”. Most times I don’t know what I want so I take the cue from Mum. That’s the way I learn. But this time I don’t get it. What’s wrong about being on the bus with a bunch of girls? They are heading for Singapore right? That’s where you find the Zoo, Night Safari and Universal Studios. That’s all I care about. Sis said they were not going to those places. Instead they were going to places like Arab Street, Clarke’s Quay, Little India etc . . and the National Library. Huh? The library? Why would anyone want to visit the library instead of a theme park? Mum reminds me that it’s a school trip not a holiday tour so the girls will visit 2 local schools to reciprocate the visits these schools made to sister’s school. The girls are even performing a local dance, the zapin, in conjunction with the trip. OK so now I don’t feel so bad about being left behind. Still, it would be nice to go. I haven’t been there since I was 10 years old. Mum doesn’t have good memories of that trip. She said I behaved badly. I got into tantrums each time we got ready to leave any of the attractions especially the Zoo. Sigh… Mum sure has a long memory. I said to her “Sorry”. Is 13 years too late to apologize? Anyway, sister’s back later today. Can’t wait to see what souvenir she’ll bring back for me. P.S She’s back. Sis got me a FINE tee-shirt. 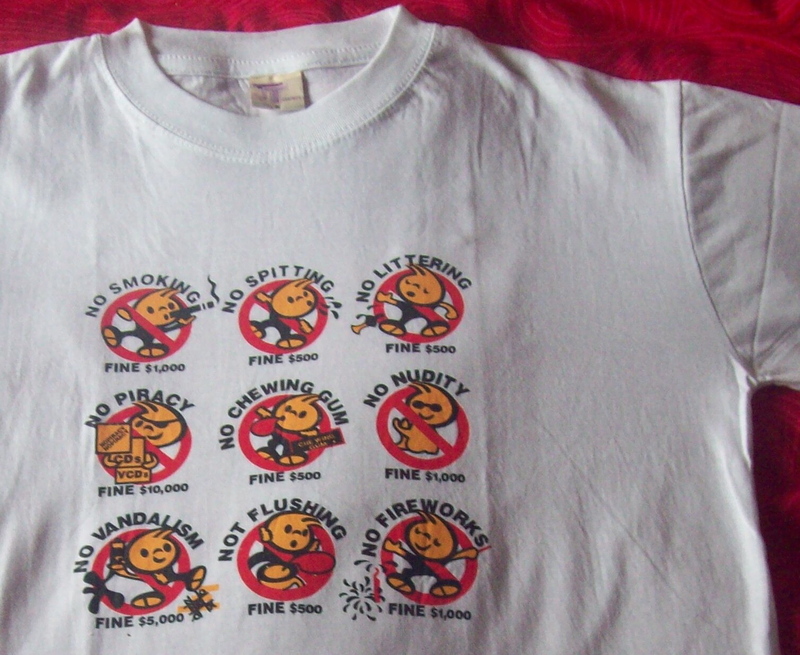 Fine for littering, fine for spitting, fine for chewing gum!. Get it?. I like it. I wore it immediately.